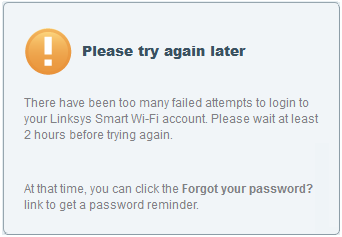 When trying to access your Linksys cloud account, you may encounter several failed login attempts that may temporarily suspend your account. In case you can’t remember your password, you may opt to perform a password reset. To learn more about this, read on below. 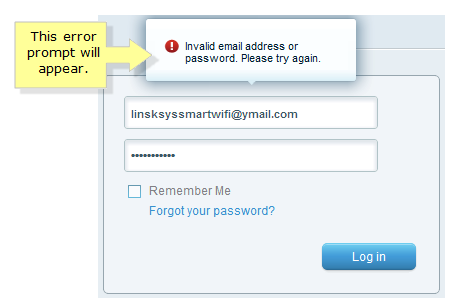 When attempting to access and log in to your Linksys cloud account, you may encounter the Invalid email address or password. Please try again error prompt. If you still enter the incorrect login details, the error prompt will persist. If there are several failed login attempts, the Account Suspended notification page will then appear. On the Account Suspended page, click the Forgot your password? link. Once the Forgot your Password? 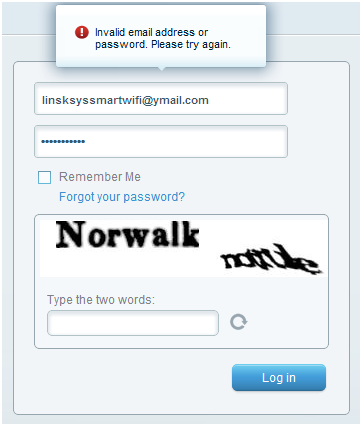 page appears, enter your email address and the two (2) words as displayed in the box. Click Send instructions. NOTE: If you can’t read the words, click the button to get new words. The Email instructions have been sent prompt will appear. Access your email. Open the message from Linksys Smart Wi-Fi Mail. NOTE: If the message is not found in your Inbox, check the Junk or Spam folders. 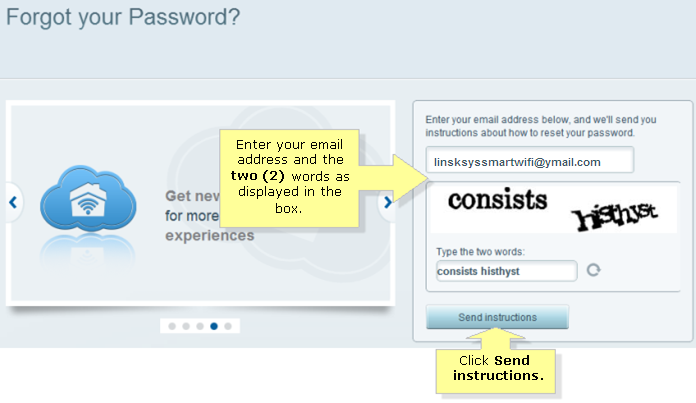 Once the message opens, click the link to reset your Linksys cloud account password. 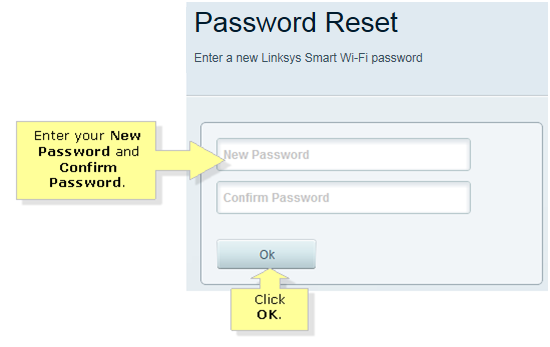 The Password Reset page of the Linksys cloud account will appear. Enter your New Password and Confirm Password in the fields provided. Then, click OK. The Linksys cloud account page will now be displayed. You can manage your network using the new login details.